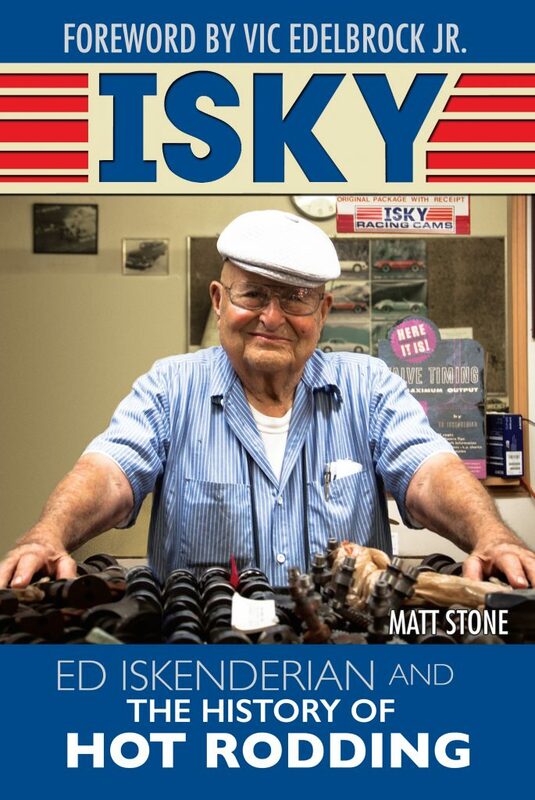 Isky, The Ed Iskenderian Story. I’m honored and proud to have spent nearly a year, often face to face, with the world famous Camfather, hearing his story, quips and quotes first hand, and fashioning this biography about him, and the birth and microcosm of the speed parts and hot rodding industries and hobbies. You can order now at CarTechBooks.com, autobooks-aerobooks.com or amazon.com. I promise you this hard bound book has photos you’ve never seen and stories you’ve never heard. Thank you, Mr. Isky!